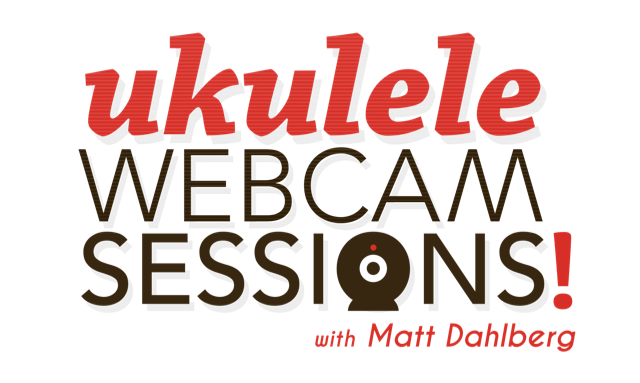 Matt’s excited to be partnering with Ukulele Underground to bring you fun ways to learn ukulele ON DEMAND! Whether it’s a full course of strumming lessons, YouTube Webcam Sessions or specialty workshops, you’ll find great instruction to take your ukulele playing further. Be sure to check out UU+ for an extensive library of videos and courses by professional ukulele players from all over the world. Matt’s Beginner Strumming Course is available to all members! Not a member? Consider joining today. This collection of four courses is designed to help you learn everything you’ll need to be able to play, and understand a variety of rhythms and music styles while applying new techniques to give your ukulele playing a new dimension of sound. Check out the all new weekly YouTube video series in partnership with UU where Matt covers concepts and techniques that he often works on in his private lessons. Head over to the Ukulele Underground Marketplace to find replays of Matt’s workshops. These webinars were previously only available to subscribing UU+ members but now can be purchased individually. And while we’re talking about Ukulele Underground, be sure to check out the full session of Duos with Matt and Aldrine Guerrero. Join Matt’s mailing list for a completely free workshop that previews The Ultimate Strumming Course with Matt and Ukulele Underground.